We sell the MOST trailers in QLD! Here at Long Haul Trailers, we offer a wide range of trailers for sale in Brisbane, the Sunshine Coast and along the Gold Coast. We are very proud of our trailers that include amongst others box trailers, dual axle trailers and tandem trailers and believe that our brand name says everything about us. We build trailers that are designed to cope with the harsh Australian conditions with each trailer being designed to last the Long Haul! 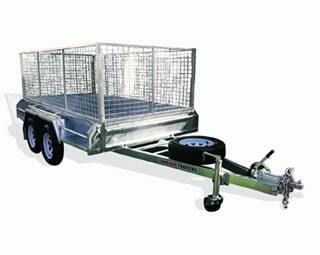 The quality and strength of these trailers is great; as is the price. The trailers are assembled in a workshop at the back so you can probably see any of their product range before you buy. Customer service can not be faulted... I ordered and paid for my trailer over the phone and picked up the trailer 3 days later, fully registered, ready to tow away. Staff tend to you immediately, no waiting around to get help. I recently purchased a 6x4 trailer from Longhaul Trailers to carry my camping gear and a kayak. When I picked it up, I was so impressed with the finish and the quality of workmanship that I really feel it is great value for the money I paid. John was very helpful and offered me a few extras including ladder racks and a spare wheel. Really happy! Thanks guys. John and the team at Long Haul Trailers were professional and attentive. Got a great deal on my 7x5 trailer with cover and had me driving it away same day. Great service!